Christopher Creek Lodge is located on the bank of spring fed Christopher Creek and is one of the oldest continuously operated businesses under the Mogollon Rim. The first cabin constructed at Christopher Creek Lodge, was built in 1950 and served as the “Original” Christopher Creek Store and Bar. In 1953, Christopher Creek Lodge entertained its first overnight guest. 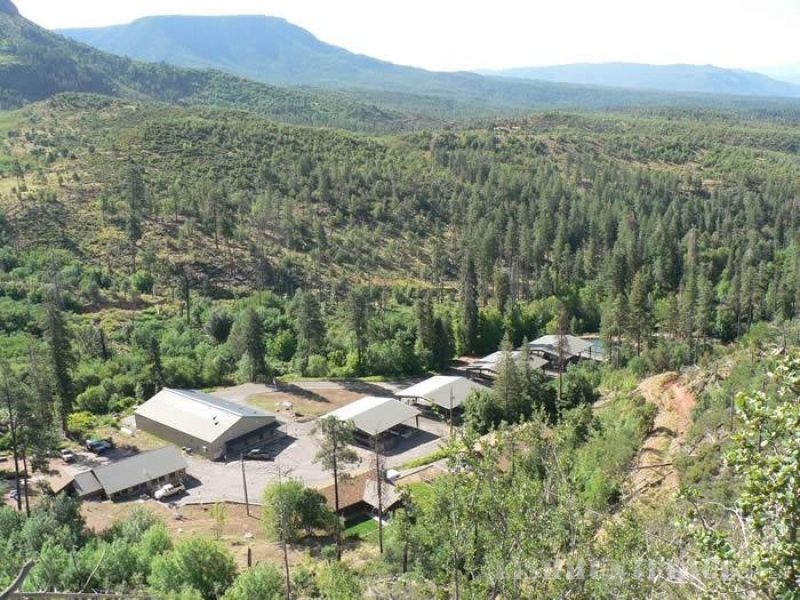 Our mission is to provide you with an enjoyable stay while visiting the Mogollon Rim area. At an altitude of 5,860 feet the grounds abound with ferns, oak, walnut, maple, the World’s largest stand of ponderosa pine, fir, spruce, and wild grapevine. The State Department of Fish and Wildlife regularly stocks Christopher Creek, that meanders through our property, with Rainbow trout. Good fishing can also be found in all directions. For example, five miles to the west is Tonto Creek, twelve miles to the east is Wood’s Canyon Lake, and six other Rim lakes, and 20 miles southeast are Canyon Creek and Haigler Creek. We have four seasons in a beautiful setting. By all accounts, the Tonto and Apache-Sitgreaves National Forests, and the surrounding areas, provide many diversified activities. These range from fly-fishing, backpacking, bird and butterfly watching, hiking, boating, rock and fossil hunting, mountain biking, and stargazing, to ice fishing, snowmobiling, cross country skiing, hunting, and snowshoeing in the fall and winter. Also available in the area is horseback riding, antiquing at local shops, and always silent meditation. So, come on out and join us for a memorable experience.